Timeless and beautiful, these earrings feature 2.67 carat Rubies with 0.15 carats of Round Brilliant Cut Diamonds in a French Pave setting. 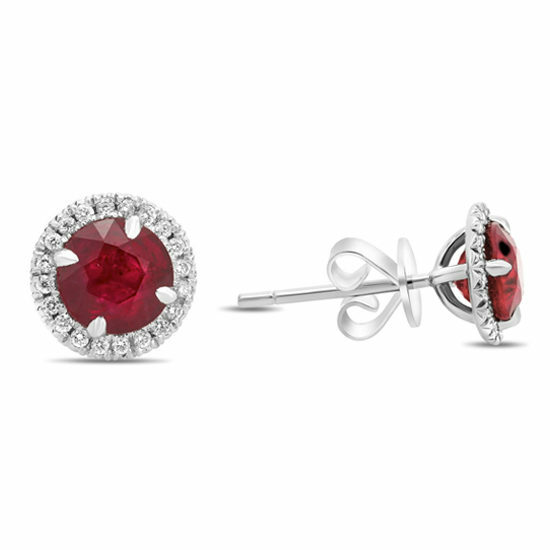 Perfect for July babies as Ruby is the July birthstone. In Ancient Indian culture the Ruby was traditionally associated with the Sun and was believed to assist wearers in expressing their best selves to the world. In Europe the Ruby was the traditional “love stone”. Reaffirm your love – consider this ring for a milestone birthday or anniversary.